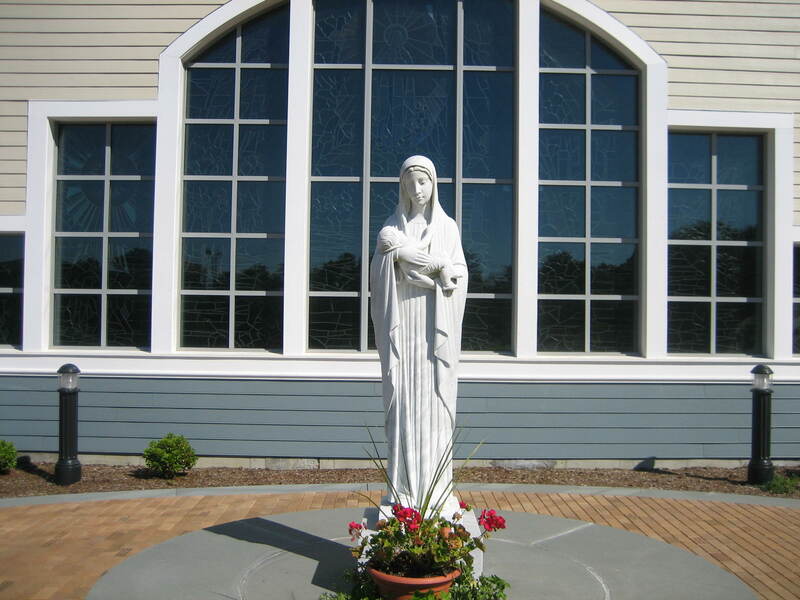 As part of our church environs, we have created a "Mary Garden" walkway and are selling signature bricks as a way to help reduce our parish debt while at the same time allowing people to add a personal touch to our beautiful new religious space. This is a wonderful way to memorialize dear ones who have departed, or to recognize special loved ones, or to celebrate your own families in a unique and lasting way. Please click here to see samples currently in the garden located on the south end of the church. Donations made to the church are tax deductible to the extent as provided by the law. Each brick is made up of 15 characters of your choice on each of three lines. The $500 cost per brick may be paid using a check or by using your credit or debit card. Help the church and enjoy a bit of immortality at the same time by purchasing a Mary Garden brick. Please click here to print the donation form. If you want to pay with cash or a check, complete the form and send it to the return address at tht top of the form. Click the 'Donate' button below to charge your donation to a credit or debit card of your choice. The cost of each brick is $500 and will be automatically entered into the single transaction that you see in PayPal. You can click the 'Subscribe' button below to choose an installment plan to pay 20 monthly installments of $25 each. You can click the 'Subscribe' button below to choose an installment plan to pay 10 monthly installments of $50 each. You can click the 'Subscribe' button below to choose an installment plan to pay 5 monthly installments of $100 each. You can click the 'Subscribe' button below to choose an installment plan to pay 4 monthly installments of $125 each. For all arrangements of donating a brick the first payment will occur immediately and subsequent installments, if any, will occur on this day in furture months. Immediately after the financial transaction is completed in PayPal, you will be sent a confirmation e-mail and OLOL will be sent your name and address. Using this address information, we will send you a form so you can document the inscription to be engraved on the Mary Garden brick. A return address will be on the form. Our Lady of Lourdes does not charge interest for any of the methods used to purchase bricks.